Gov. Jerry Brown has taken an important step in protecting California's forests by appointing biologist Dr. Susan Britting to one of two open public seats on the California Board of Forestry (BOF). Forests Forever had endorsed Britting for the position. 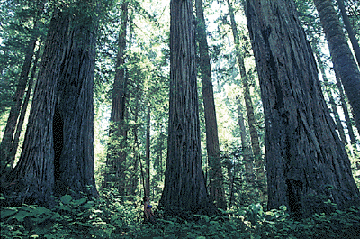 Part of Forests Forever's agenda in Sacramento is to rally support for key appointments to the various state agencies that oversee forest practices. Please donate to Forests Forever so that we can continue this important work! The recent addition of Britting to the BOF helps balance the public's interest in protecting forests with the timber industry's goal of getting out the cut as quickly and cheaply as possible. Britting, who worked with the U.S. Forest Service in forest planning and served as a science and policy consultant to nonprofit organizations, takes a special interest in habitat planning in the Sierra Nevada. She served as a public member of the BOF from 2002 to 2004. Britting will serve alongside two other Forests Forever-endorsed BOF public members, Mark Andre and Bruce Saito. 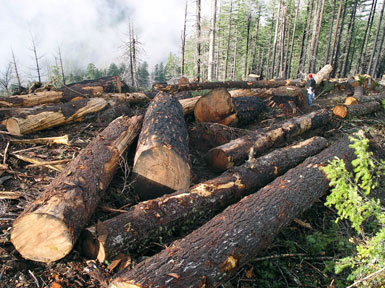 Forests Forever urges letters and calls to Gov. Brown thanking him for his appointment of Britting. Tell Brown you appreciate his action. Also urge Brown to work with his appointees to stop the pervasive clearcutting that is destroying California's forests and watersheds. Your contribution to Forests Forever today will help us continue the fight for a BOF that truly serves the well being of California's forests.